Sarah Blunt, REU student class of 2015, is today a full member of the Gemini Planet Imager Exoplanet Survey. Together with SETI researcher Eric Nielsen and Franck Marchis, she has developed an innovative method to fit the orbits of directly imaged exoplanets. She has published her work in Astronomical Journal and is a recipient of an NSF Graduate Research Fellowship that will fund her graduate school. Here her story. 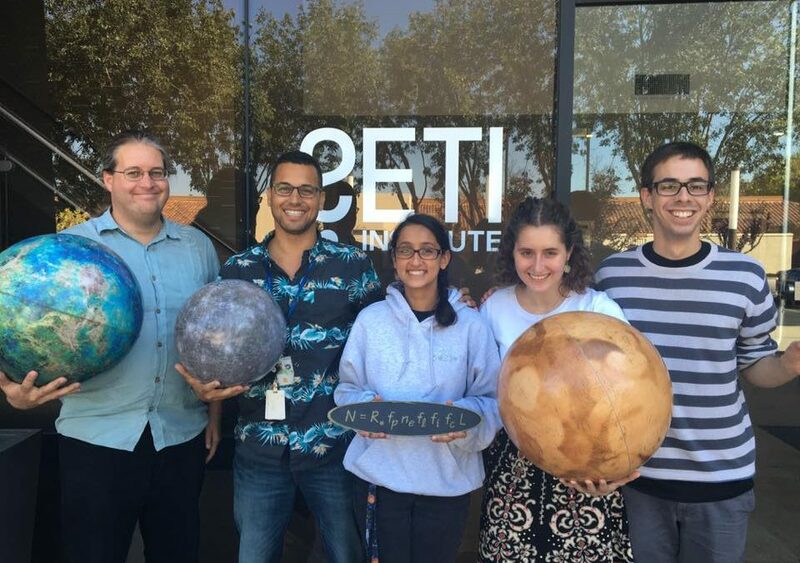 Every year the SETI Institute hosts several interns who work with our researchers through a Research Experience for Undergraduates (or REU) program funded by the National Science Foundation. We often wonder what happened to those students, several years after they come to work with us in our HQ here in California. Sarah Blunt is one of these interns who joined the Institute in 2015. Her application was one of the 200 we received every year for 12-15 internships. Sarah was a bachelor student at Brown University studying to get a major in mathematical physics. In her application she wrote about her previous experience in research at the National Solar Observatory and at her university, her emerging skills in programming in Python and her interest in one of the proposed internships related to the analysis of orbits of exoplanets and brown dwarfs discovered with the Gemini Planet Imager. 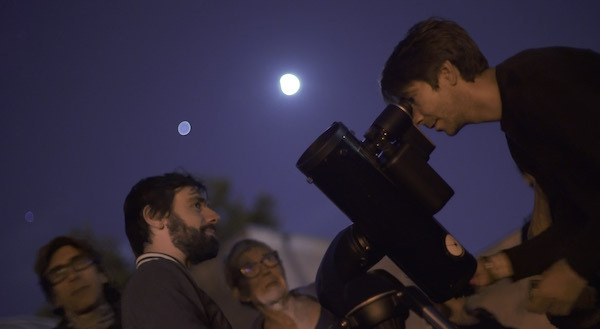 Senior researcher Franck Marchis and SETI postdoctoral fellow Eric Nielsen were thinking of new ideas to fit the orbits of directly imaged extra-solar planets (or exoplanets) and needed a skilled student in math and computer science to implement those innovative algorithms. Sarah started her internship in June 2015 under the supervision of Eric Nielsen and quickly showed the potential of these algorithms. 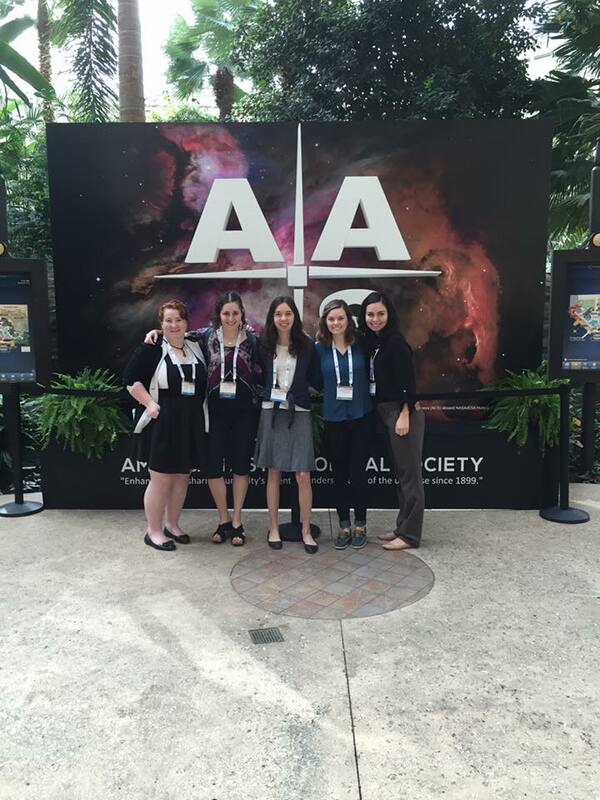 After her internship, she continued to work with the SETI exoplanet group on fitting orbits of recently discovered planets and brown dwarfs and joined the GPI Exoplanet Survey (GPIES) collaboration as an official member. Her work was so successful that she was including an article published in 2015 describing the preliminary orbit of 51 Eri b, the only known Jupiter-like exoplanet discovered with GPI. In summer of 2016, she came back to California to work with Prof. Bruce Macintosh, principal investigator of the GPIES collaboration, at Stanford University. In January 2017, she presented the new algorithm, called OFTI (Orbits For the Impatient) at the AAS meeting 229 in Grapevine, TX. She is the first author of a peer-reviewed article article, accepted to the Astronomical Journal, which describes the algorithm and its potential. Today, Sarah so loves her work in the booming field of exoplanets that she has decided to pursue a PhD in Astrophysics, instead of Mathematics or physics as she had in mind before her REU. We are very proud to announce that she has been accepted to several graduate schools and she is also the recipient of a NSF Graduate Research Fellowship. 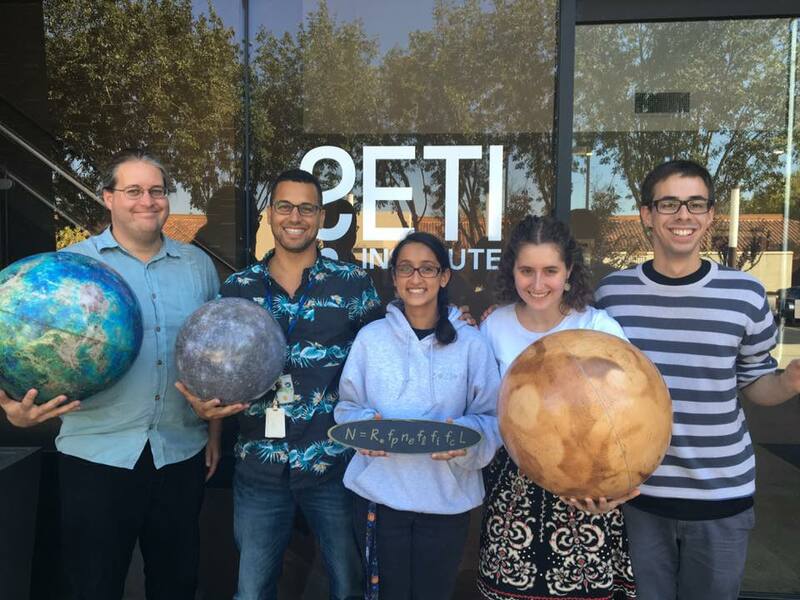 No doubt she has a bright future ahead of her, and we hope that her story will inspire several of you to apply to the SETI REU program and to consider a career in the field of astrophysics. 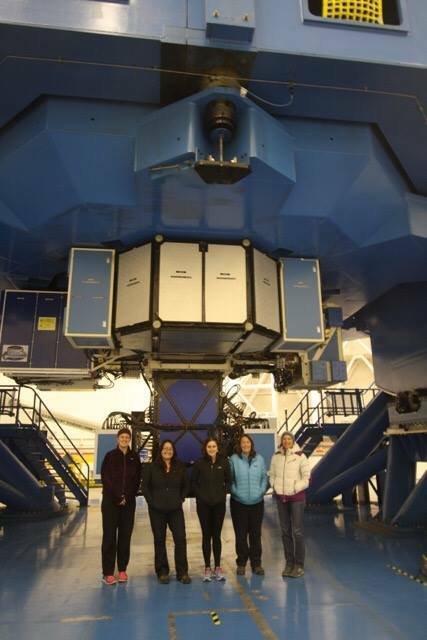 Sarah Blunt at Gemini South Telescope in Chile where she participated to a GPI observing run (credit: Sarah Blunt). -Could you let me know what motivated you to apply to the SETI REU program? Did you apply to any other ones? 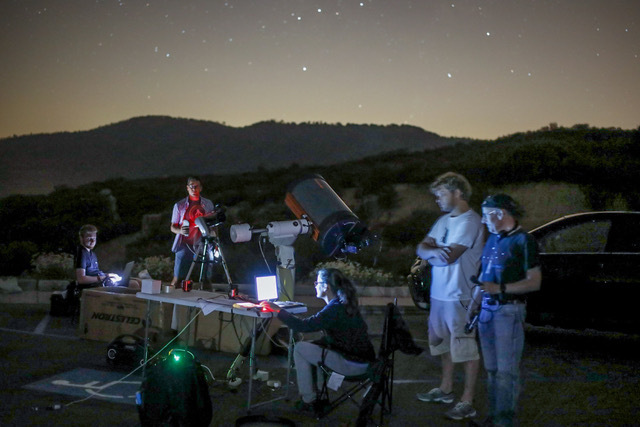 – The summer before I did the SETI REU, I did a different REU at the National Solar Observatory in New Mexico. I really liked my project in solar physics, and I was interested in exploring other research in astrophysics. I chose to apply for seven REU programs that “sounded interesting” by scrolling through the NSF website and asking around. I actually think that my boyfriend found the SETI REU program and suggested that we both apply! I remember really liking the idea of the project you and Eric posted on the REU homepage, and thinking that it sounded like something I would be good at. The skills you listed as prerequisites for the summer project were very similar to the skills I had developed over my first two years in college, and I wrote most of my application essay about why I should do that particular project. I was offered two summer positions: one at CU Boulder doing more solar physics work, and one at SETI. In the spirit of exploration, I decided to try something new and go with the SETI REU! – Could you let me know if what capacity this REU program has helped you to become a scientist? 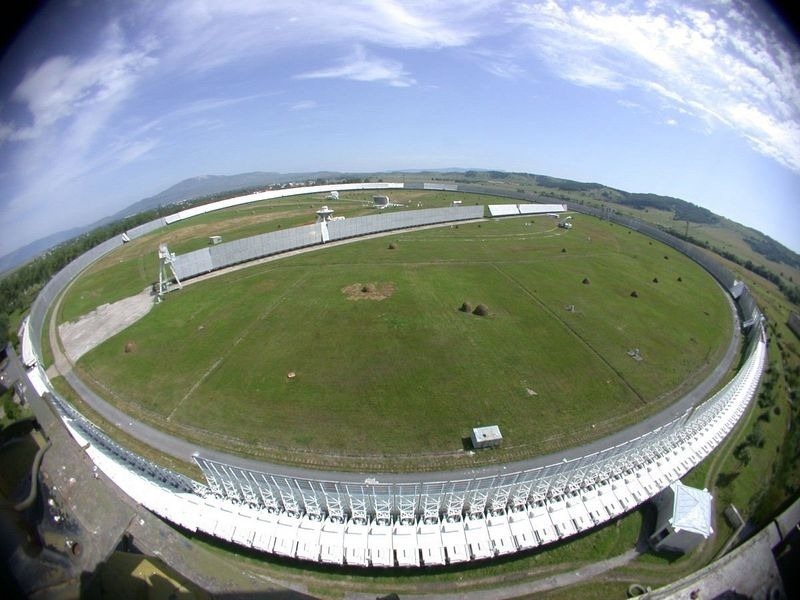 – The SETI REU helped me to become a scientist in several important ways. First, it exposed me to a lot of interesting science, both through seminars and other formal events and by providing me with a community of peers working on a wide variety of projects. I learned so much just by discussing projects with the other REU students over dinner! Second, the REU forced me to work on my science communication skills, notably my public speaking abilities through the journal club and final talk series, and my scientific writing through the final report. Doing the SETI REU also paved the way for me to break into the world of scientific publishing, and I got plenty of experience with the process of writing and publishing science shortly after the REU ended! Finally, the SETI REU enabled me to participate in real science, and to learn about the process of coming up with project ideas, executing the ideas, reworking/revising, and publishing/communicating the work. I feel like a much more independent and knowledgable scientist after working with the GPI team for the past two years, and I owe that all to the SETI REU! Any anecdote, story, special memories related to the REU that you would like to share with us? Not sure if this is a “publishable” story, but over the week that the REU students stayed in Lassen National Park, Jill Tarter, a few of the other REU students (Rosa Diaz, Kaley Brauer, Shannan Acedillo), and I caught a mouse together! It had been living in Kaley’s bed at our place next to the ATA. We spent about an hour running around the house together in pajamas, then finally cornered it and put it outside. There’s an amazing picture of us in PJs holding a Tupperware with the mouse somewhere. That is a very fun memory! How many people can say that they’ve caught a mouse in PJs with Jill Tarter?